On one of our International Internships you can complete practical work hours and gain valuable experience in field of study. Choose between internships in medicine & healthcare, law & human rights, veterinary medicine & animal care, business, journalism, teaching, microfinance, international development, and social work. If you are a university student, you can consider one of our internships to conduct research for your thesis or dissertation. As a medical school student you can also choose one of our medical electives if you would like to do something different and exciting for your elective. We also offer programs for recent graduates, and those who would like to take a career break. 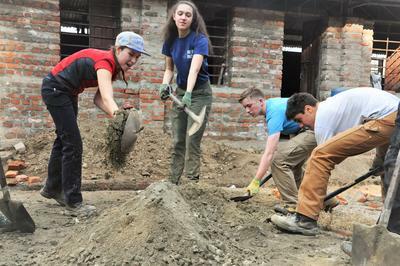 If you would like to spend time working in a field of interest, you can choose one of our standard volunteering programs, including caring for children, conservation & wildlife, sports, archaeology, building, agriculture and farming, creative & performing arts. Our projects are catered for all ages, from high school to university students, to grown-ups over 50 years old. You can even volunteer as a professional in your area of qualification. Share your volunteering experience with others on a group trip. Volunteer as a family, school or college club, sports team, or work colleagues. If you need assistance in choosing the right volunteer trip for you, you can contact us.